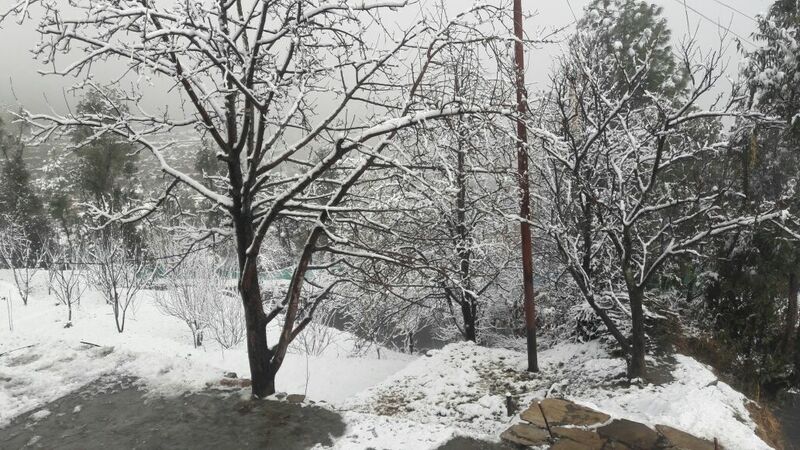 The much-awaited snowfall happened in our hills last week. 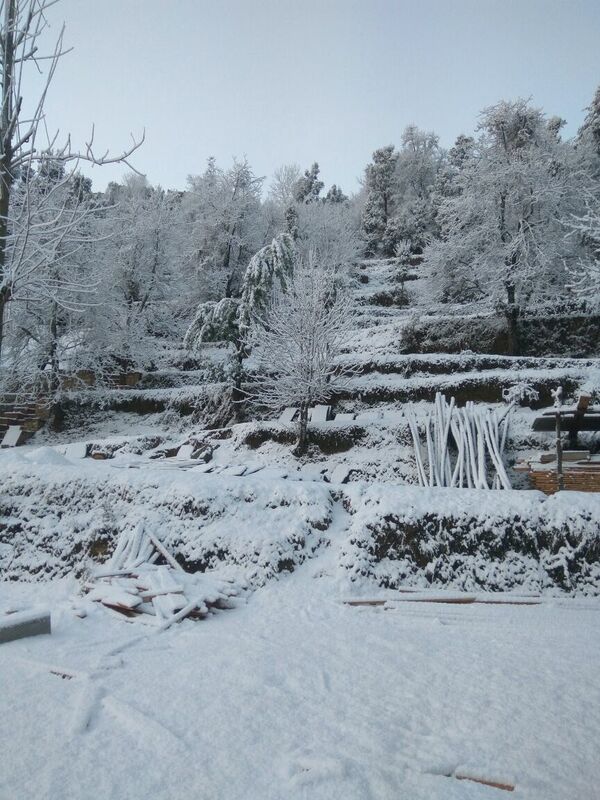 With the snow also came happiness that was expressed in the loud chatter, squeals of children running around and gathering the cottony snowflakes, happy farmers anticipating a good crop and recharge of the springs that are a lifeline in the hills. Children seem to enjoy every weather to the fullest. Some got down to making a snowman while some made balls and rolled it down the slope. Children are gifted to be happy in every circumstance. The snow-draped our hills in white. The trees looked glassy, and a white carpet spread everywhere. It looked like a scene from a fairytale. 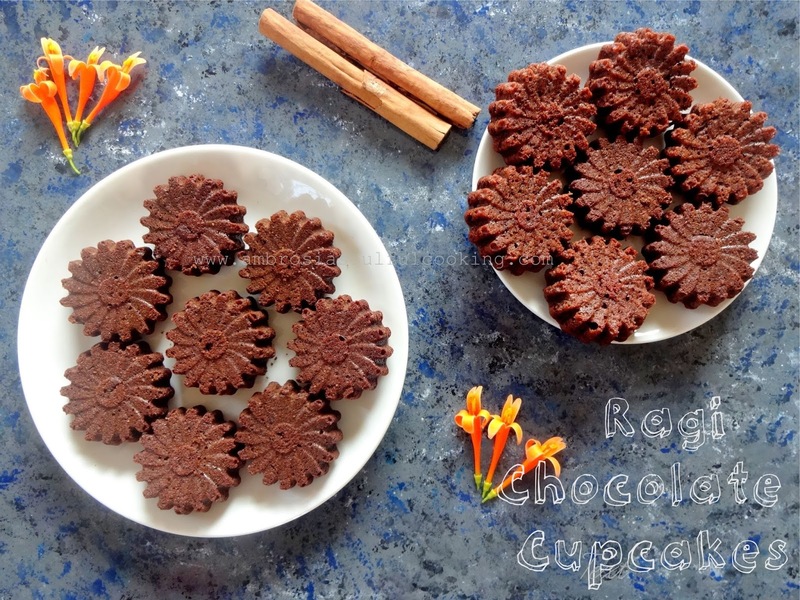 Last week we baked eggless cupcakes with the locally sourced water milled Finger millet flour (ragi) called madua locally. Ragi is a wonder grain. It is gluten-free, easily digestible, a powerhouse of protein. It is rich in calcium and vitamin D. Ragi is also rich in antioxidants. It is rich in fiber and is packed with good carbs. We made one batch of Eggless Ragi chocolate cupcakes with vanilla flavour. 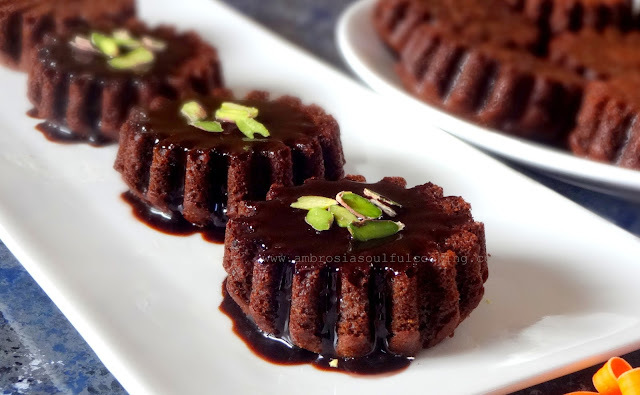 We drizzled chocolate sauce before serving. Kids loved this combination. In the second batch, we added cinnamon. We served these with cinnamon sugar glaze. We loved them with tea. Mix together ¼ cup icing sugar, 1-2 teaspoons milk and 1 teaspoon powdered cinnamon. Mix till you get a smooth and thick glaze. Preheat oven to 180 degrees C. Prepare one 12 cavity muffin tray. Or, arrange 12 silicone moulds on a baking tray. Whisk together first seven ingredients in a large bowl. Pass the dry ingredients through a strainer. In another bowl, beat yogurt till smooth. Add sugar and mix well. Add warm milk, vegetable oil, and vanilla extract. Mix well. You may use a hand blender to mix. Add dry ingredients and stir until well combined. Do not over mix. Pour batter into the cupcake moulds/muffin tray filling up only ¾ of the cavity. Remove from the oven and cool on a tray. 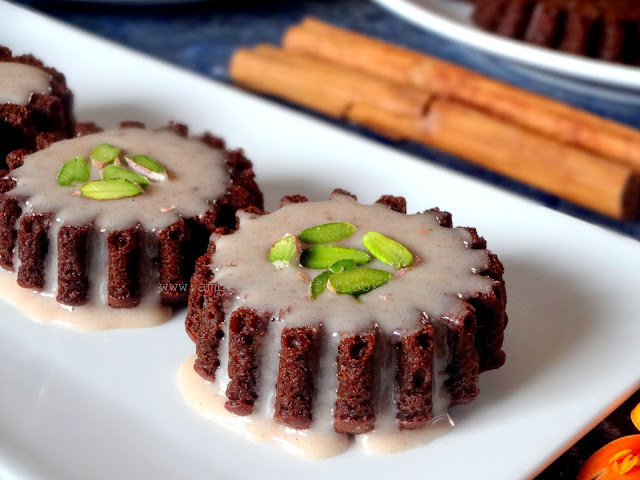 Serve plain or serve with cinnamon sugar glaze or with chocolate sauce. Sprinkle slivered pistachios and serve.